Why were these two Christians released—when both apostasy and blasphemy are great crimes in Islam? Is this a sign that Iran and Pakistan are reforming, becoming more "moderate"? One U.S. paper, for example, optimistically offers the following title, "Rescue of Christian Girl may be Turning Point in Abuse of Blasphemy Law." The fact is, there are many more Christians imprisoned in both countries for apostasy and blasphemy. Unlike Nadarkhani and Masih, however, the Western mainstream has never heard of these unfortunate Christians. And that's the whole difference. A six-year prison sentence for Pastor Farshid Fathi Malayeri—whose crime was to convert to, and now preach, Christianity—was upheld last July following an unsuccessful appeal hearing. A June 17 report indicated that, five months after five Christian converts were arrested, their condition and fate had remained unknown. They were accused of "attending house church services, promoting Christianity, propagating against the regime and disturbing national security." Being imprisoned for 130 days without word "is an obvious example of physical and mental abuse of the detainees …. 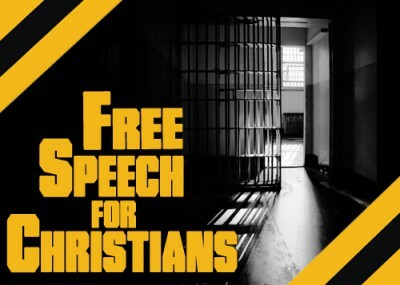 one of the prison guards openly told one of these Christian detainees that all these pressures and uncertainties are intended to make them flee the country after they are released." In light of all the above, why were Pastor Nadarkhani and Masih, the Christian girl—whose fates were sealed—released? Because unlike the many nameless and faceless Christians persecuted for blasphemy and apostasy in Pakistan and Iran, not to mention the rest of the Islamic world, the mainstream media actually reported their story in the West, prompting much public outrage, international condemnations, and the threat of diplomatic actions and/or sanctions. For example, Canada just cut relations with Iran, citing, among other reasons the fact that Iran is "one of the world's worst violators of human rights." It was the very next day that Pastor Nadarkhani was "coincidentally" released, even as the Iranian regime, feigning innocence, accused Canada of being "racist." In short, these two particular Christians were simply too much of a liability to punish as Sharia law demands—the same Sharia, incidentally, that teaches Muslims to be lax and tolerant when in their interest. While it is good that Western outrage and condemnation was fundamentally responsible for the release of Nadarkhani and Masih, the West must learn that these two Christians merely represent the tip of the iceberg of Christian persecution in Muslim countries. Leaderless resistance is the probable modus operandi re: the formation of small groups which operate independently and which have an esoteric agenda and specific targets. The CIA, for example, estimated that there were over 20 different groups in operation during the Iraq War to various extent but each group had different agendas and different targets. Leaderless resistance can be found everywhere these days and so I would like know if bob54 agrees or not with this assessment. Perhaps if he does agree he will retreat from condescension. Perhaps if laisa agrees then she will retreat from condescension. Once condescension is removed then perhaps we get to understanding why extremism succeeds with such alarming consequences as 9/11 whereas, in the past, extremism would raise its head and then fizzle out. The comment "Copts inside Egypt," from Laisa is simply absurd. "ALL" Copts against Mubarak? Really? So why were the Islamists attacking the Copts when they came out in large numbers voting for Mubarak's Ahmed Shafik? And "better a Muslim than a protestant" in marriages? Really? You obviously don't know the first thing about Egypt or Copts...who would marry any denominational Christian in a heart beat over a Muslim. The best way to know this Laisa is a troll with an agenda is the fact that the article written by Mr Ibrahim doesn't even once mention Copts! It's about Christians in Iran and Pakistan. Go grind your axe elsewhere. BUT , does he know ( sure he must know...), that Copts in Egypt are ALL against Mubarak, went to Tahrir with the muslims and applauded to his fall???? Does he know that they hate Israel and are brainwashed even from the Church against it and told ' better a muslim than a protestant...' if they want to marry outside the Coptic church??? I admire your intelligence and culture Mr Ibrahim...PITY that INSIDE EGYPT there is MAYBE only 0,00001% of Copts thinking like you. Those people who kill in the name of their religon & their weak god, are noting but cowerds & their god is as weak as them because he can't protect himself.